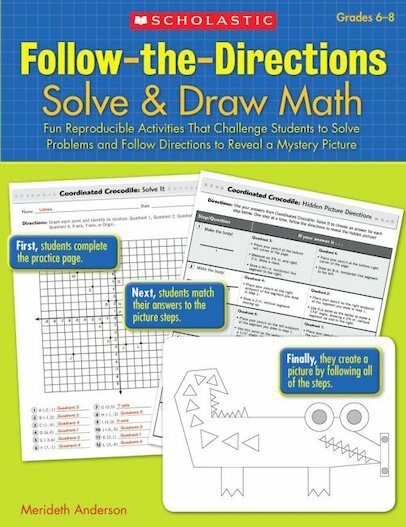 These 15 standards-based activities with mystery-picture drawings really motivate students to practice key math skills. After students complete each skill sheet, they use their answers to follow step-by-step directions that guide them to draw a hidden picture. Since only correct answers will create the right picture, these activities are self-checking and make great independent work or homework. Topics include multiplication and division, fractions and decimals, solving multiple-step equations, algebra, geometry, measurement, and more.